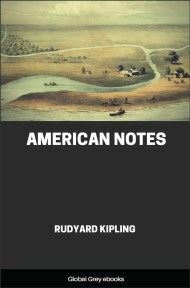 An interesting view of America in the 1880's, as Rudyard Kipling visits and writes of his experiences. 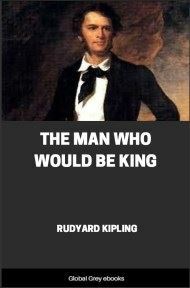 A short book with 'notes' on Chicago, the American Army and the like, Kipling can't hide his snobbery at times. 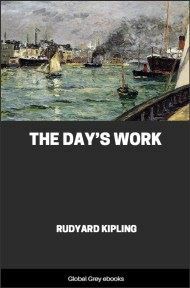 He writes of the Chicago slaughterhouses, American women and men, visits Utah and San Francisco and seems to have a jolly good time doing so. THIS is what Bret Harte has written of the great city of San Francisco, and for the past fortnight I have been wondering what made him do it. 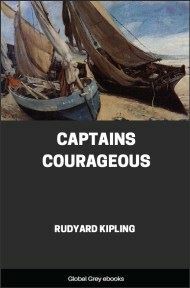 There is neither serenity nor indifference to be found in these parts; and evil would it be for the continents whose wardship were intrusted to so reckless a guardian. Behold me pitched neck-and-crop from twenty days of the high seas into the whirl of California, deprived of any guidance, and left to draw my own conclusions. Protect me from the wrath of an outraged community if these letters be ever read by American eyes! San Francisco is a mad city—inhabited for the most part by perfectly insane people, whose women are of a remarkable beauty. When the "City of Pekin" steamed through the Golden Gate, I saw with great joy that the block-house which guarded the mouth of the "finest harbor in the world, sir," could be silenced by two gunboats from Hong Kong with safety, comfort, and despatch. Also, there was not a single American vessel of war in the harbor. 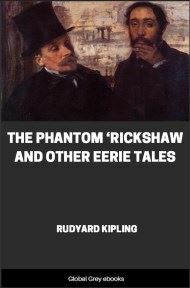 This may sound bloodthirsty; but remember, I had come with a grievance upon me—the grievance of the pirated English books. Then a reporter leaped aboard, and ere I could gasp held me in his toils. He pumped me exhaustively while I was getting ashore, demanding of all things in the world news about Indian journalism. It is an awful thing to enter a new land with a new lie on your lips. I spoke the truth to the evil-minded Custom House man who turned my most sacred raiment on a floor composed of stable refuse and pine splinters; but the reporter overwhelmed me not so much by his poignant audacity as his beautiful ignorance. I am sorry now that I did not tell him more lies as I passed into a city of three hundred thousand white men. Think of it! Three hundred thousand white men and women gathered in one spot, walking upon real pavements in front of plate-glass-windowed shops, and talking something that at first hearing was not very different from English. 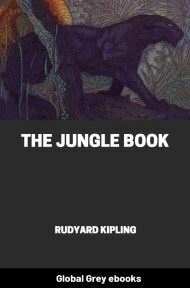 It was only when I had tangled myself up in a hopeless maze of small wooden houses, dust, street refuse, and children who played with empty kerosene tins, that I discovered the difference of speech. "You want to go to the Palace Hotel?" said an affable youth on a dray. "What in hell are you doing here, then? This is about the lowest ward in the city. Go six blocks north to corner of Geary and Markey, then walk around till you strike corner of Gutter and Sixteenth, and that brings you there." I do not vouch for the literal accuracy of these directions, quoting but from a disordered memory. "Amen," I said. 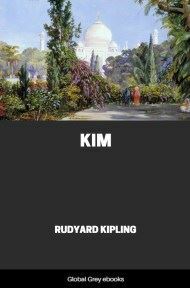 "But who am I that I should strike the corners of such as you name? Peradventure they be gentlemen of repute, and might hit back. Bring it down to dots, my son." I thought he would have smitten me, but he didn't. He explained that no one ever used the word "street," and that every one was supposed to know how the streets ran, for sometimes the names were upon the lamps and sometimes they weren't. Fortified with these directions, I proceeded till I found a mighty street, full of sumptuous buildings four and five stories high, but paved with rude cobblestones, after the fashion of the year 1. Here a tram-car, without any visible means of support, slid stealthily behind me and nearly struck me in the back. This was the famous cable car of San Francisco, which runs by gripping an endless wire rope sunk in the ground, and of which I will tell you more anon. A hundred yards further there was a slight commotion in the street, a gathering together of three or four, something that glittered as it moved very swiftly. A ponderous Irish gentleman, with priest's cords in his hat and a small nickel-plated badge on his fat bosom, emerged from the knot supporting a Chinaman who had been stabbed in the eye and was bleeding like a pig. The by-standers went their ways, and the Chinaman, assisted by the policeman, his own. Of course this was none of my business, but I rather wanted to know what had happened to the gentleman who had dealt the stab. It said a great deal for the excellence of the municipal arrangement of the town that a surging crowd did not at once block the street to see what was going forward. I was the sixth man and the last who assisted at the performance, and my curiosity was six times the greatest. Indeed, I felt ashamed of showing it.